I went Dungeness crabbing in Washington for the first time this fall. Here’s why I’m concerned about increased shipping from Trans Mountain pipeline. 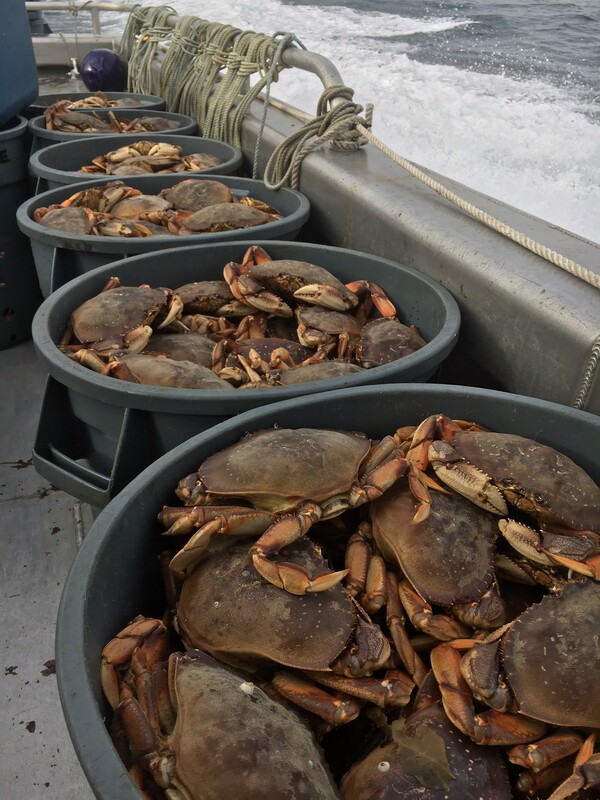 As someone who is part of a family that has made our living off of healthy stocks of seafood in the Pacific Northwest, I was extremely grateful to go Dungeness crabbing off of the San Juan Islands in the Salish Sea for the first time this fall. Being in beautiful northern Washington, smelling the fresh sea air and seeing other coastal dwellers prosper off one of America’s most beautiful seas was a once-in-a-lifetime experience I will never forget. It reminded me of where I grew up in Bristol Bay, Alaska — where my family continues to have a livelihood benefiting from our sustainable seafood. I can now say I’ve gone herring, halibut, salmon and Dungeness crab fishing, and nothing is greater to me then smelling the fresh sea air and enjoying the beautiful ocean while helping others enjoy our country’s great seafood. Risking these abundant natural resources to fossil fuel shipping is reckless to coastal economies. It is why we should be concerned about the proposed Trans Mountain pipeline shipping expansion. We would see an estimated 700% increase in shipping traffic in the Salish Sea. With it would come increased risks to fishing families, coastal communities and our marine wildlife. The risk of oil and other pollutant spills, marine noise pollution, increased greenhouse gas emissions and other disturbances pose a threat to our wildlife — and thus our ways of life. Growing up in Alaska and now in Washington, I realized that healthy stocks of seafood are important to many people across our beautiful region. In fact, according to the National Oceanic and Atmospheric Administration, the seafood landings revenue in Washington state in 2015 was valued at $300 million, and Oregon at $114 million. These numbers represent over 23,000 jobs in Washington and 13,000 in Oregon. Overall, the landings revenue in the Pacific Region (Washington, Oregon and California) totaled $558 million in 2015. This revenue includes seafood catches of tuna, crab, shellfish, hake, shrimp and rockfish, among other species. The increase in Trans Mountain shipping creates a triple-whammy to Washington’s crabbers. First, a risk from shipping accidents and oil spills would potentially send Alberta tar sands oil (diluted bitumen, or dilbit) that is being transported to the ocean bottom. This would pollute shellfish like Dungeness crab and other bottomfish such as halibut. It could harm wildlife at every stage of their life, and cause massive damage to our seafood stocks. It could ruin the image of our pristine and clean seafood. If there is an oil spill, dispersants may be used for response, which would cause oil pollution to sink to ocean floor habitat, further damaging seafood populations. Second, an increase in shipping traffic would increase greenhouse gas emissions that are known to be detrimental to shellfish. More carbon from the transporting and mining of dilbit creates more carbon in the atmosphere, which ultimately gets absorbed by the ocean. It is known to increase ocean acidification. Ocean acidification slowly melts away the shells of Dungeness and other crabs and causes damage to other wildlife. That’s why a number of crab fishing industry organizations and companies from Oregon and California recently sued the fossil fuel industry, seeking justice due to the fossil fuel industry’s damages to their livelihoods. Finally, an increase in vessel traffic could mean that fishermen will not be able to fish in certain areas and at certain times in the Salish Sea because of conflicts with the increased marine vessel traffic. Trans Mountain shipping doesn’t just threaten our marine wildlife and seafood in Washington, but across the Pacific Coast, from California all the way up to Alaska. That’s because an estimated 700% increase in shipping to places like China would stretch all the way from the Salish Sea up to Alaska’s pristine Aleutian Islands and the Great Circle shipping route, threatening endangered sea lions and wild salmon runs. It would also potentially increase shipping to California, which would endanger communities dependent on a clean environment as well as beach tourism along the Pacific Coast. Shipping accidents have recently caused damage to coastal communities — from the heavy fuel oil spill this year in Japan to shipping damage off of Kodiak Island in Alaska. The risk of oil and other pollutant spills, marine noise pollution, increased greenhouse gas emissions and other disturbances pose a threat to our wildlife — and thus our ways of life. Increased shipping from Trans Mountain also threatens many species, including the iconic southern resident killer whale (SKRW) that numbers only 74 individuals left. Washington’s salmon could be negatively impacted as well, as salmon in the ocean depend on a clean sea for feeding off plankton and other invertebrates. It is a bad idea to allow Trans Mountain shipping to go forward. That’s why Pacific Northwesterners and people across the Pacific Coast — in Washington, Oregon, California, Alaska and British Columbia — can stand together and urge the Canadian government to not move forward with Trans Mountain.Your voice is so important to stopping reckless developments like the expansion of the Trans Mountain pipeline. 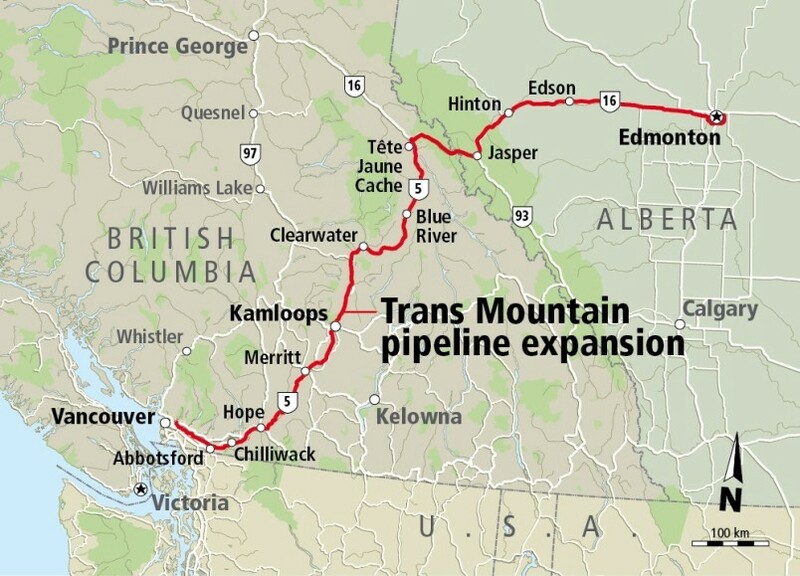 Proposed Trans Mountain pipeline expansion. Image via Alaska Highway News. Further, Friends of the Earth is advocating for Washington state to do more to help protect our coastal communities, seafood industry and wildlife. For example, we will be advocating for a strong pollution prevention bill in the Washington legislature that compliments the good work of Washington’s Orca Task Force that seeks to protect marine wildlife from reckless shipping activities. You can find out more here and can take action starting in January during the Washington legislative session. Being on the ocean this fall and participating in good hard work with other Northwest fishermen was a life-changing experience. It made me appreciate our pristine waters and delicious seafood even more. It made me passionate to help protect our wild, natural resources and the livelihoods they support. Protecting our crab, other seafood industries and coastal communities from the risks of the expansion of the Trans Mountain pipeline and other shipping pollution is so important. I’m glad that someone may be enjoying a Dungeness crab thanks to my fishing partners and I who worked hard to provide delicious and nutritious meals. I hope you will take action to help protect our fishing families and future generations.